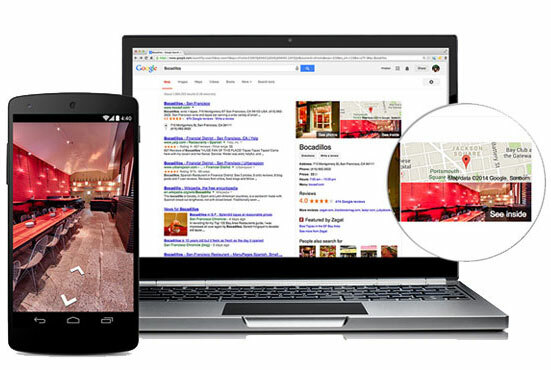 Invite your customers inside your store, through the virtual tour of your business on Google Search, Google Maps and Google+. Sweans is an agency which is trusted, trained and certified by Google, having trained photographers to ensure high quality photo shoots of your business. We provide our clients with a first-class virtual tour for their business, and also offer a full range of professional services to assist them in lead generation, website development, and marketing needs. We assure unique combination of the services and push the boundaries for excellence in image creation.The creative use of online digital technology and photography helps to achieve the positive business outcome for every client. The experience and skill sets of several award-winning Google Trusted and leading Commercial Photographers is the basis of the 360 agency. Being a Google Trusted Agency, we are proud of our core values of creating exceptional metaphors and project delivery for local, national and international brands. We believe in capturing the ‘WOW’ factor in each and every image we shoot, to share and experience creative online presence of our client on the web. We will shoot high definition panoramic pictures of your store with a wide-eyed lens creating beautiful enchanting shots of your business. Point of Interest (POI) shots of important and unique items, of your business will meet Google’s high quality standards. Tour, Explore, Interact and directly influence the decision making process of your customers. Google is the largest search engine, with an estimated 80-85% market share as per the researches. An innovative digital marketing tool designed to be affordable and for enhancing online presence on the Google+ local listing. Customers can take an inside view of the business to interact and explore their search on computers, smartphones or tablets exhibiting their business to the entire world. Google dominates both Web and local search and this will be a modernized way of advertising your business in a cost effective way.